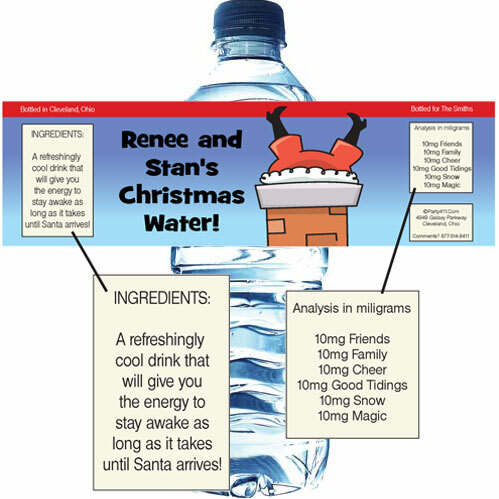 Custom Christmas Water Bottle Labels. 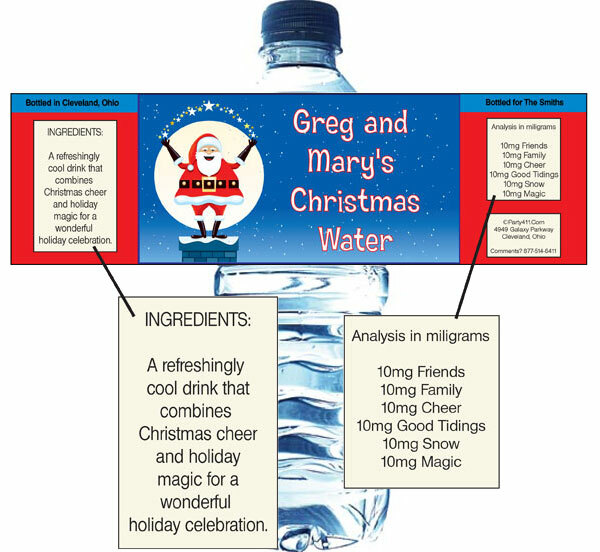 Party411.com offers a wonderful selection of personalized Christmas theme water bottle labels. 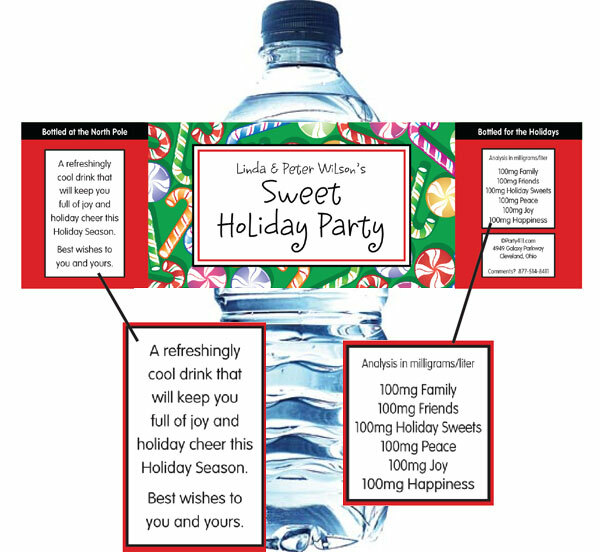 These are a great addition to any Christmas celebration. 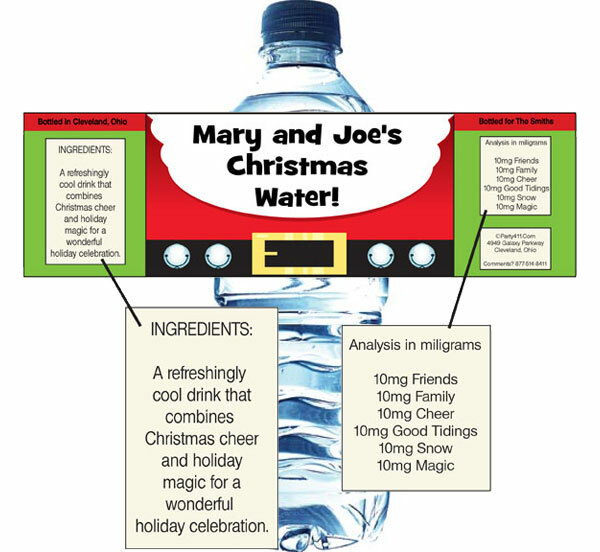 A Christmas theme water bottle label. 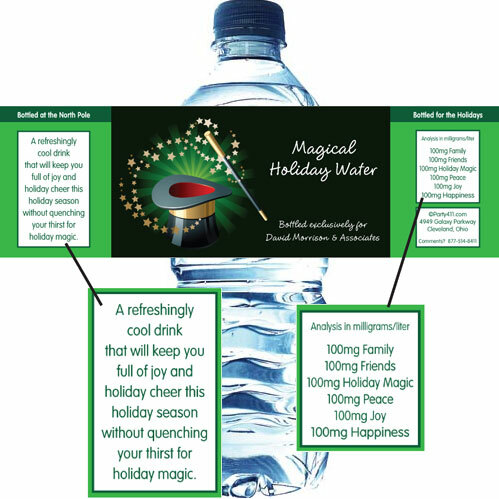 Your guests will need plenty of water at a holiday dance party. 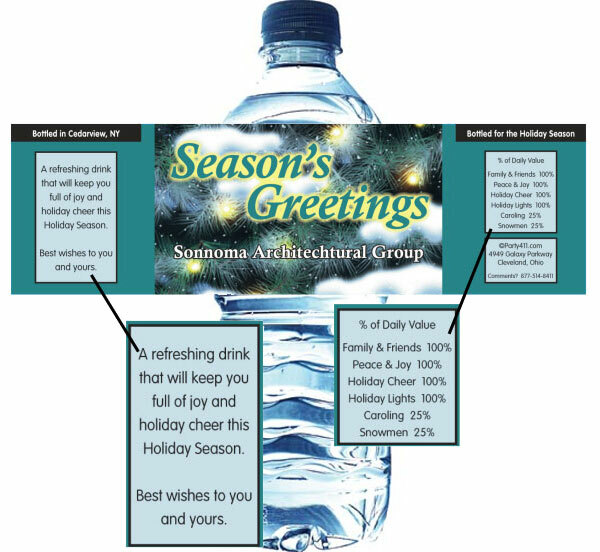 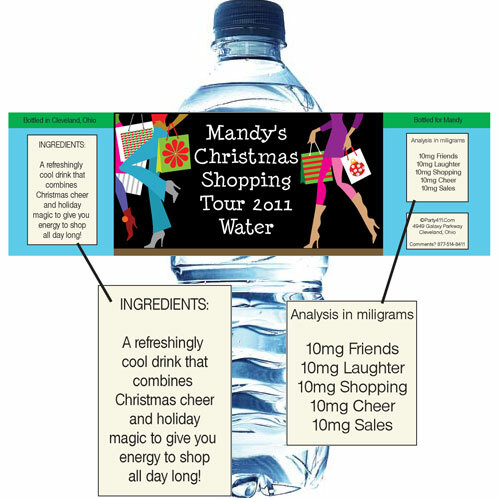 Serve your guests bottled water with winter theme bottle labels.